The coasts of north-east England and south-east Scotland are blessed with long, broad sandy beaches that are generally completely empty of people. I love these great expanses of sand and the feeling of space one always gets on this stretch of coast. 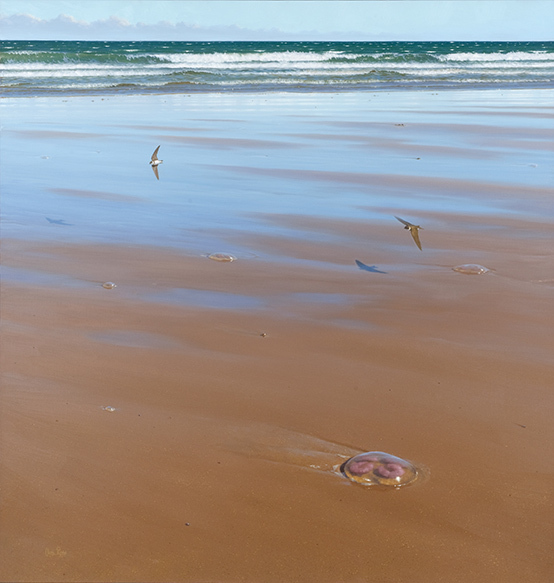 On this sunny but blustery summer’s day there had been a stranding of jellyfish on the last ebb tide. They are actually quite beautiful when you really look at them but there was such poignancy to this scene, seeing so many of them washed up, that I was moved to paint them. 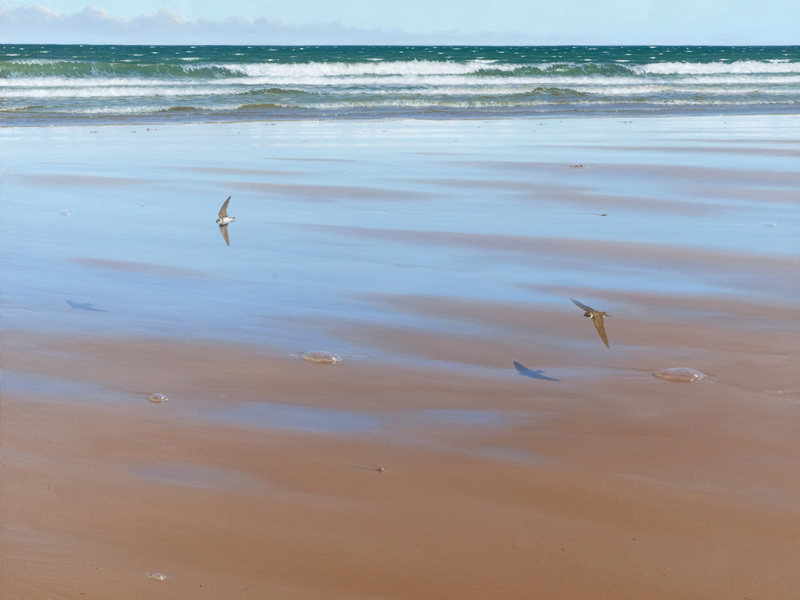 As I painted, a pair of sand martins appeared from nowhere, swooping low over the sand. 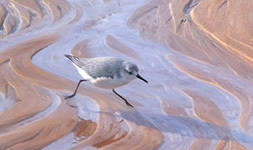 I have never associated them with the seaside before but they were nesting in the sand dunes at the top of the beach. They provided the perfect counterpoint to the jellyfish – fast, agile and streamlined; in perfect and exquisite control of their movement through their environment, while the jellyfish lay helpless out of water. 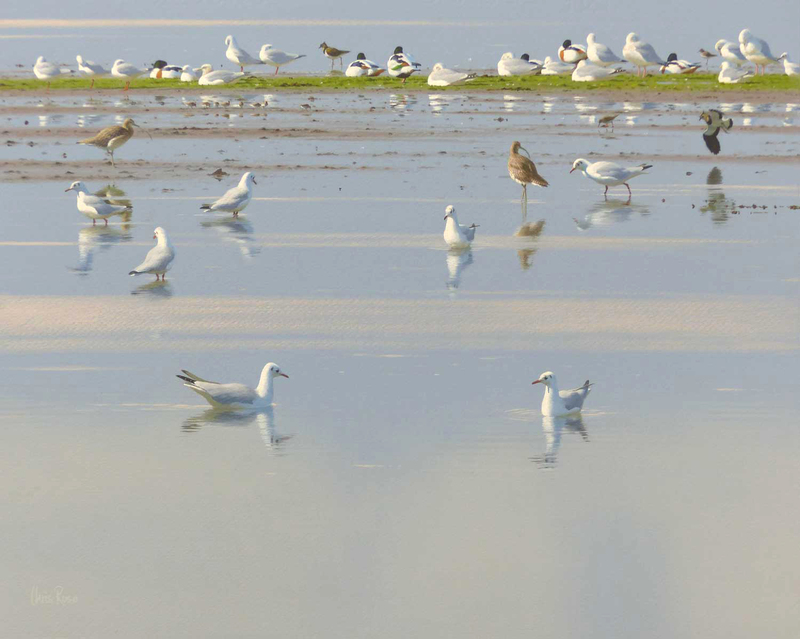 I immediately thought of a title for the painting – such an odd juxtaposition of species called to mind Aesop’s Fables.